Rumour has it we’re about to have one final throw of summer, so bring on one final batch of ice creams. The sunshine has taken me by surprise though so I had to work with whatever we had in our kitchen and I’ve actually been pretty impressed with them. They’re very simple, really quick and fairly healthy. 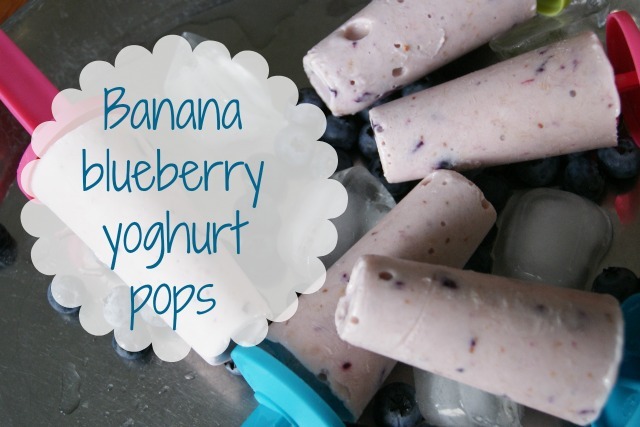 Mash up your blueberries and bananas into a paste. Mix that with the greek yoghurt and combine it well. Add a squidge of honey or maple syrup to taste. Pop in your freezer for an hour. Then take it out, give it a stir to break up the icicles. Pop back in the freezer for another hour then repeat. Your FroYo should be well on the way to being ready now, so it's time to put it into the moulds to let it freeze fully. Let it freeze overnight then you're done. Your comments are always welcome – I love to hear what you think!